All benefits SEAMetal have to offer but in a compact, portable form factor. 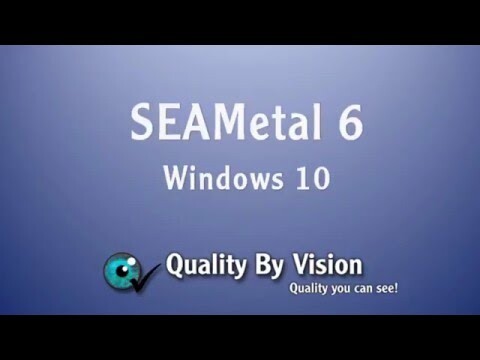 The latest version of SEAMetal offers features like Microsoft Excel integration, zoom in, automatic email alerts, network connectivity, Windows 10 support, a new SPC system, a new customizable reporting system. You can now see the image better and get a more accurate measurement than ever before, all for a competitive price. The software also comes with SEAM doctor! SeamSchool.com integration works, even when offline! Free SPC system, easy to use, easy to understand, great graphics, supports drilldown directly from SPC graphs! True thickness option for accurate double seam thickness analysis, without requiring external calipers or gauges! Multilingual! Translations available to most languages! SEAM-explorerTM allows R&D teams to inspect any radius, angle, distance or area within the double seam! Optical unit is portable, complete with portable saw! Competitive upgrades for seam inspection systems from other manufacturers!